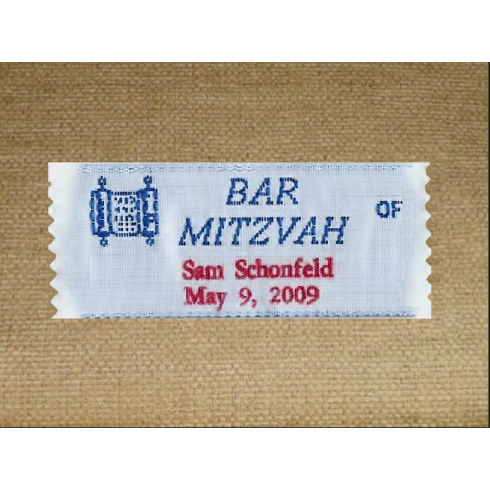 For handmade sewing or knitted items at Bar Mitzvah. This label lets you add the name of the young person going through the ceremony. Label 7/8" x 2 1/4" or 22 mm x 57 mm.